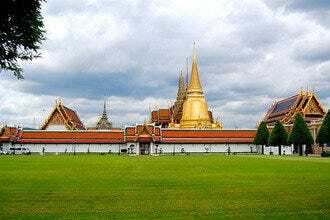 Thailand is a Buddhist country and does not officially celebrate Christmas. 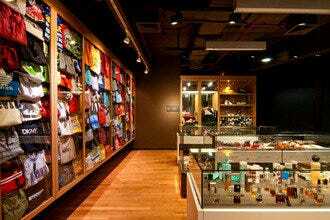 However, as one of Asia's top shopping destinations, Bangkok has put holiday gift buying firmly on the map, not to mention that the Thais love a good party, so there are plenty of things happening during Xmas and New Years. At the top of the list for Christmas is the New Year's Eve countdown party in the Bangkok equivalent of Times Square. CentralWorld Shopping Mall hosts a large event, where giant beer gardens get set up out in the large plaza out front, popular during the winter months here as it is the "cool" season, meaning one might be able to sit outside without sweating too much! Live bands play, there is plenty of food and drink, and then a midnight countdown ceremony rings in the New Year. A close second to this are the Christmas lights that get put up nearby in front of the All Season's Place, Grand Hyatt Erawan, and all around the Rajaprasong intersection along Rajadamri Road, where hotels have their own Xmas trees and other festive displays lit and decorated for the holidays. 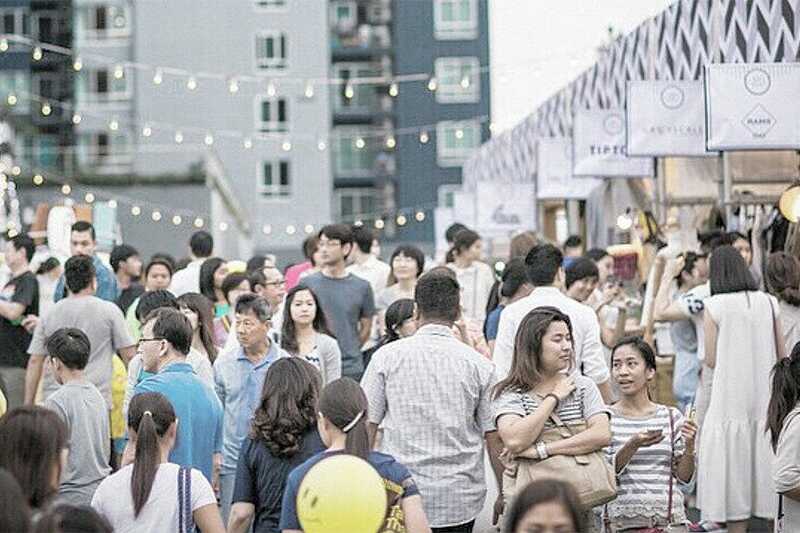 Other in town shopping options include the artsy Sansiri Winter Fest Market, as well as going on a Chao Phraya River cruise to see Bangkok at its most romantic. Supanniga Cruise runs an intimate boat with superb dining. Also on the Chao Phraya is Asiatique, a retro shopping, eating, and entertainment space all in one, and a great place to watch the New Year's fireworks. It's not only Xmas that happens at this time of year either. Loy Krathong is Thailand's most traditional festival, well worth catching if you are here towards latter November. 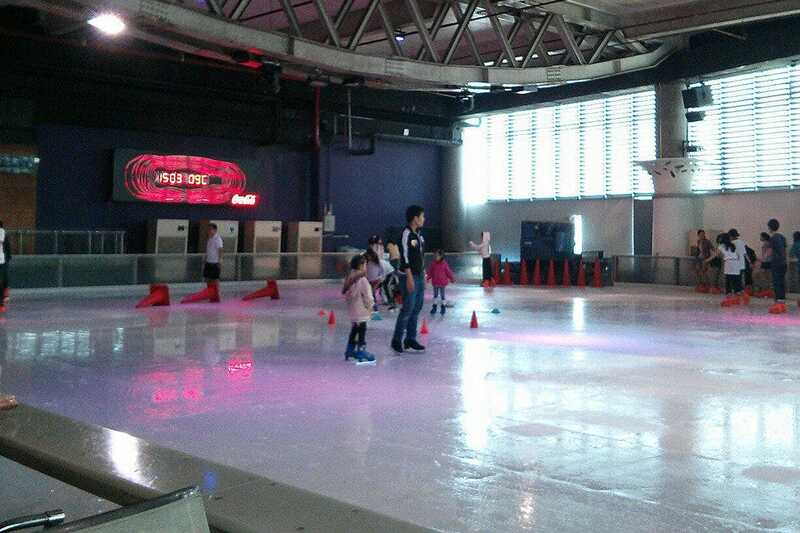 If it is still too hot outside for your holiday liking, head over to one of Bangkok's ice rinks. The Sub-Zero Ice Skate Club at the Esplanade will have you in mittens and a down jacket in no time, or go play in the fake snow at Snow Town at the Dream World amusement park. Finally, the cool winter season here is also the best time to be making day trips. The Saraburi sunflowers are all in bloom at this time, and there's an epic bird migration taking place at Khao Sam Roi Yod National Park, both of which can be easily accessed from Bangkok. If you do get the winter blues, just remember that a white sand beach or tropical island is just down the road! If Thai tropics make your winter holiday feel less like home, try heading out to Dream World, especially its Snow Town, which has arctic sleds and fake snow to ride along. 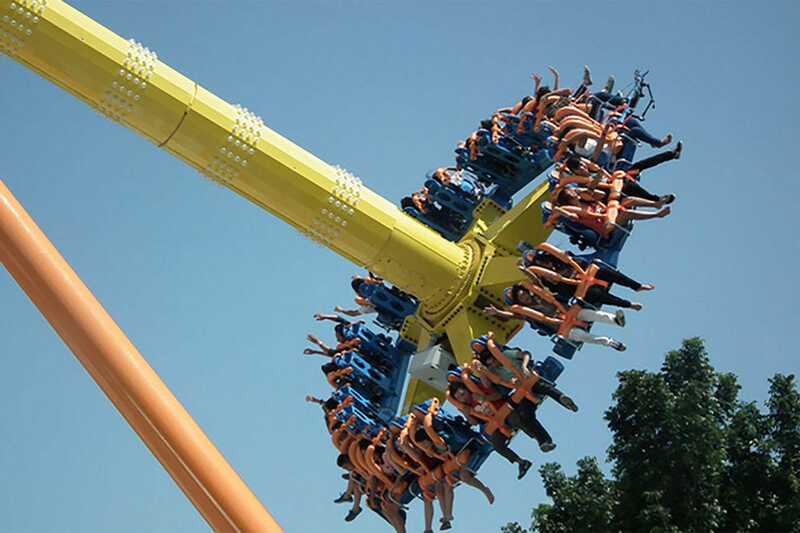 From water rides to snow activities to roller coasters, this small amusement park packs a pretty stellar list of attractions, and families can easily spend half a day here. There are bumper cars, a haunted mansion to explore, a Super Splash wave boat ride, the Snow Town with the temperature never rising above -8C, Tornado and Hurricane rides for those who can handle extreme spinning and tossing, a roller coaster, and even a monorail to get around the park. There are also animal shows and street artist performances on the weekends, and it's a good mix of both very active and more subdued activities. There are several food pavilions and stations in case you get hungry, plus a KFC, and even a free shuttle service available. 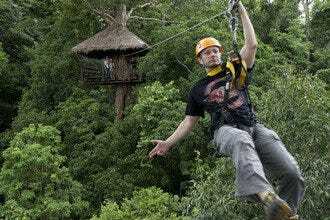 Entrance costs 250 baht for adults, and 200 baht for kids. 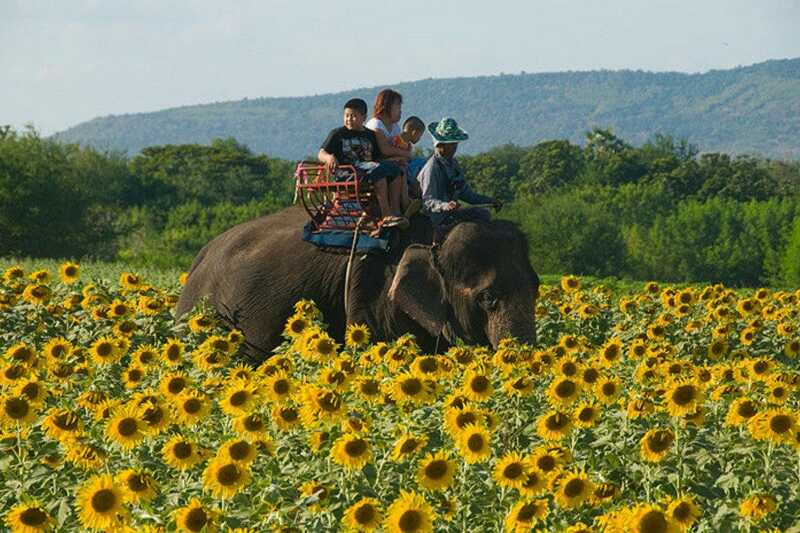 December and the western visitors holiday season coincides with the blooming of the sunflowers up in nearby Saraburi, and they are well worth a visit. The sunflower fields of Saraburi are just a short hop away from the capital, yet are a miles away escape, with the huge sunflower fields coming into their own in December and January, and beckoning flower lovers, photographers, and those looking for a fantastic local good time. Saraburi may be a small and rather nondescript neighbor to Bangkok but it has been put on the tourist map in the last years due to its amazing sunflower fields which blossom between November and January, and have become a huge tourist draw for Bangkok weekenders looking for an escape to nature. The large sunflower fields, which are privately owned, have been opened up to tourism on a mass scale, as Bangkok residents spend hours immersed in them, taking photos, having picnics, and just feeling utterly romantic. Small farmer style markets have sprung up at most of the sites, offering products like sunflower seeds and oil, natural juices, and other locally grown products. Going hand in hand with the sunflower fields are adjoining bee farms, which offer fresh jars of honey as well. Central World gets very festive during the Christmas and New Year season, and is worth visiting even if you aren't a shopper. The front area of the mega shopping mall is famed for hosting the New Year's countdown party, with live bands performing, and this entire area usually sets up with outdoor beer gardens for several months, as this is Bangkok's "cool" season, when temperatures are slightly less than hot and sticky, and locals love sitting outside. Each beer garden has its own theme, different live acts, and there is also plenty of good food. This is the nearest thing Bangkok has to a "downtown" and the local equivalent of Times Square during the holidays. Bangkok's hippest ice skating rink is a good spot to spend the winter holidays, and the sub-zero environment might even make you forget the tropical heat and humidity outside. During the day, lessons are offered and a lot of kids and families come to enjoy the ice, while at night, the rink turns into a party lounge and club complete with skating dancers, flashy lighting, and even live DJ's, really vintage Bangkok nightlife, except set at frozen temperatures out on the ice. They even have a karaoke system set up at night, for those who want to try multi-tasking with singing and skating at the same time. In December and January, the bird migration is on in full force, along with the fact that it is Thailand's cool season, making it the best time to enjoy camping, so why not spend the holidays making a quick jaunt down to Sam Roi Yod National Park. 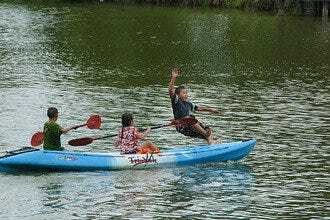 Khao Sam Roi Yod is one of the better day trips a family can make from Bangkok. 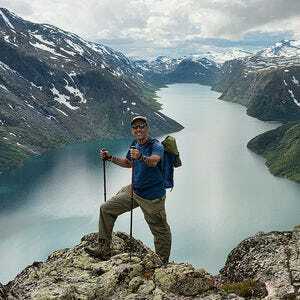 The National Park has something for everyone, from some nice beaches to excellent hiking, sea views, and a magical royal throne located inside of a mountainside cave. Additionally, the park is home to hundreds of migratory birds which call in here during the winter season. 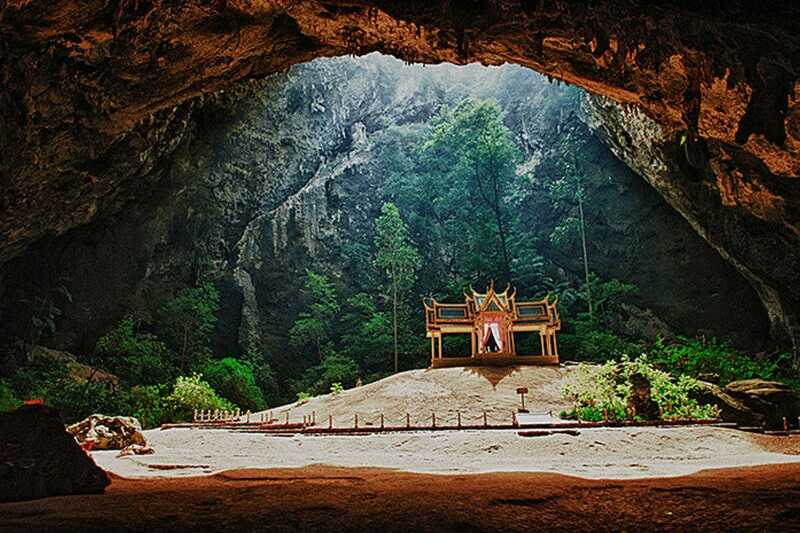 Besides the quiet beaches, the excellent hiking and views, and the over 300 species of birds, many of them migrating from Siberia and Europe, the most astounding sight here is the Phraya Nakhorn Cave and its eerie royal thronel pavilion with a four gabled roof sitting in the middle of it, Getting to the cave involves a 20 minute climb up over a mountain, from where one descends into a huge cavern. In the early morning, light filters in from the openings and creates a dramatic and surreal effect on the surroundings. Set along the Chao Phraya River, Asiatique should be on every traveller's visit list during the holiday season, as it's vibrant and full of revellers. It's a dining, shopping, and attraction hangout all in one, and a great New Year's spot for watching fireworks and counting things down. Boasting 50,000 square meters and 1500 shops, with parking area for over 2000 cars, everything is spacious at Asiatique. The market is housed in ten giant warehouses, each one having their own set of shops, restaurants, and bars. The warehouses are divided by districts such as the Waterfront, Factory, and Town Square, all easily navigable with large lit up maps that are conveniently placed in front of each warehouse.The theme throughout the market is retro and industrial, with plenty of giant sculptures of nuts, bolts, and gears hanging above and below. 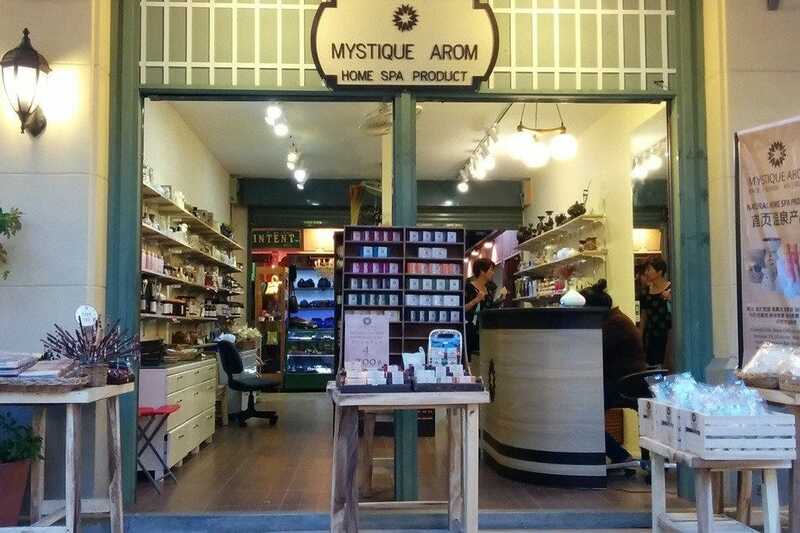 Narrow passageways run through each warehouse, with old trams, rickshaw statues, and fountains surrounded by park benches making for scenery other than boutique shops and eateries. Aesthetics aside, not only will you find great bars, restaurants, and boutique shops at Asiatique, you'll also find Bangkok's biggest ferris wheel, a cabaret show, and a muay thai boxing show amongst the various forms of entertainment. You could spend hours here with all the attractions and shopping, so make an evening of it. While Bangkok doesn't celebrate Christmas in the religious sense or as a national holiday, it does pay homage to all the thousands of western tourists coming here in the winter and tries to provide some holiday cheer for those who might get homesick, minus the snow of course. 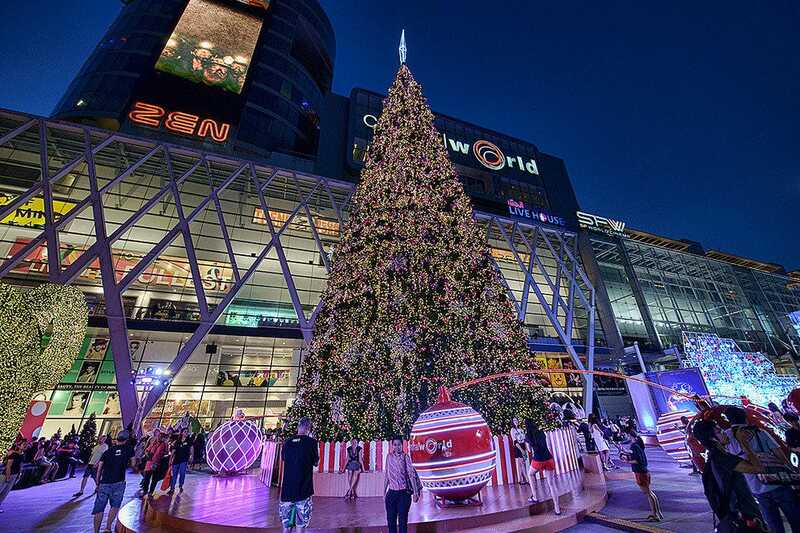 Christmas trees and lights have started to appear at most of the major hotels and shopping plazas around the city, but the ones set out along Rajadamri Road near the Central World Shopping center and Rajaprasong Intersection are really outstanding. There are huge trees lit up out in front of the Peninsula Plaza, St. Regis, Central World, and Grand Hyatt Erawan, with a really outstanding array of holiday lights, complete with Santa Claus and Snowman, and the kids will probably remark that it looks exactly like back home. 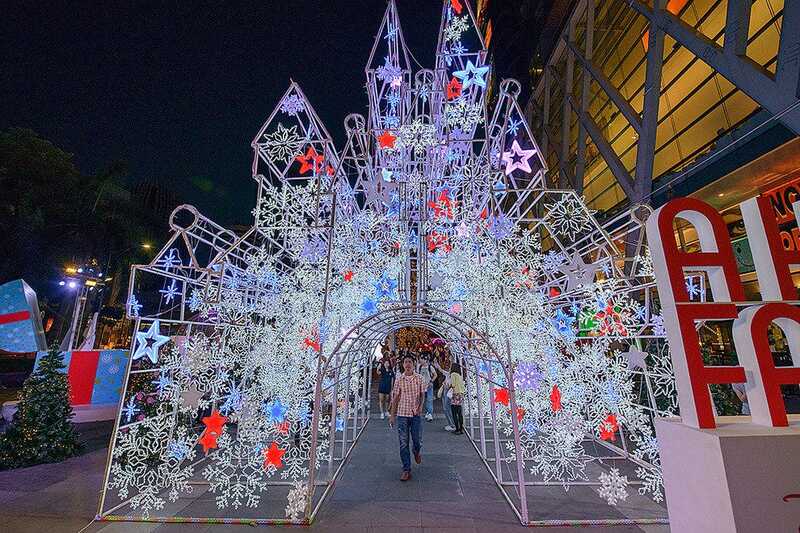 Of course after taking in all the lights, you can wander over to the Central World beer gardens to join all the cool season festivities taking place there. 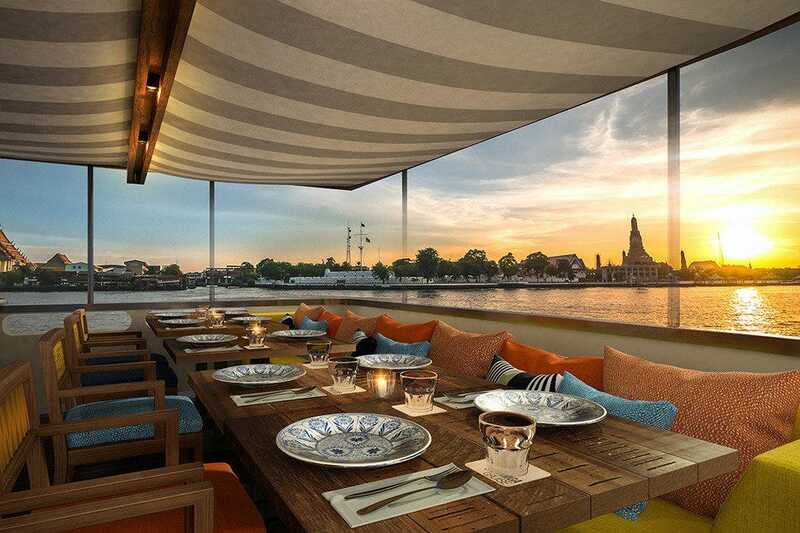 The Chao Phraya River is a top spot to be during the holiday season. Hotels run special Xmas and New Year's dinners, and sitting riverside is one of Bangkok's most romantic holiday options. Even better is taking a cruise, and while many of the tour operators on the river overcrowd their boats and offer sub-standard buffets, you can get the best of all worlds by heading out for an evening on the intimate Supanniga Cruise boat. Run by Thanaruek Laorauvirodge, who operates Supanniga Eating Room, a charming Thai eatery with traditional recipes (that now boasts two branches), along with the renowned Isan cuisine restaurant Somtum Der,) the dinner cruise picks up with the same knockout cuisine that has made the restaurants so famous, serving up fresh giant prawns, along with the Supanniga staple, moo chamuang, a thick pork stew made with flavourful chamuang leaves, a specialty of Trat on the Eastern seaboard. You can choose a sunset cruise with cocktails or champagne served with savouries, which lasts an hour, or go for the six course meal and champagne dinner set, which goes for two hours. The combination of cuisine, locale, and presentation make this one of Bangkok's most holiday attractions and dining experiences. Loy Krathong happens to fall within the holiday calendar of the high season for western visitors arrivals in Thailand, usually happening the last week of November (it depends on the Thai lunar calendar), and while it isn't timed at all for this, it remains one of Thailand's biggest festivals, its most traditional, and an experience that shouldn't be missed by anyone visiting the kingdom. 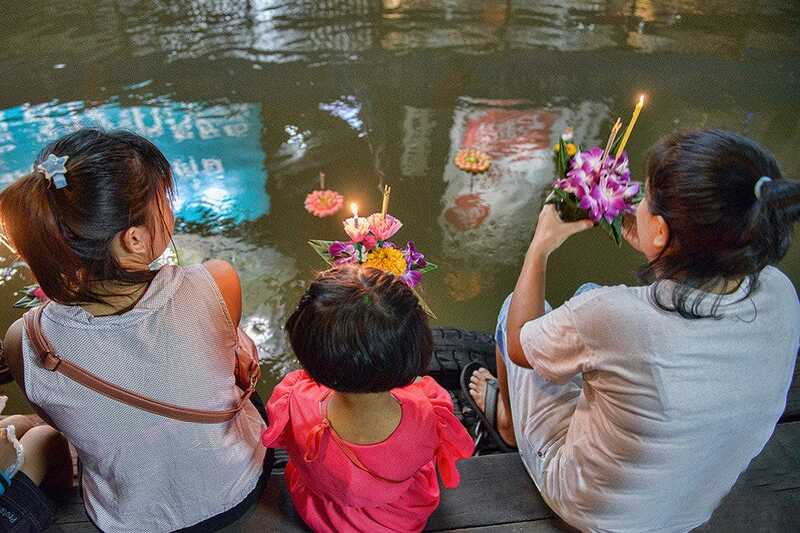 "Krathongs" are floating boats made out of lotus leaves, or even bread, in which lit candles are placed and the "rafts" floated out onto any open bodies of water to be found around town. The main festivities take place along the Chao Phraya River, with hotels and restaurants offering intimate and romantic dinner packages, complete with krathongs for floating, but even canals and city parks with lakes get plenty of action and aren't quite as crowded. It's one of the biggest festivals of the year, and both pays homage to the goddess of water as well as the floating krathongs symbolising letting go of all of one's negative emotions, thoughts, and deeds.